Click the handmaid to enlarge the cartoon. Self proclaimed liberal feminist lawyer Lisa Blatt introduced her friend Brett Kavanaugh yesterday. And Senate Judiciary members finally got around to asking him questions. 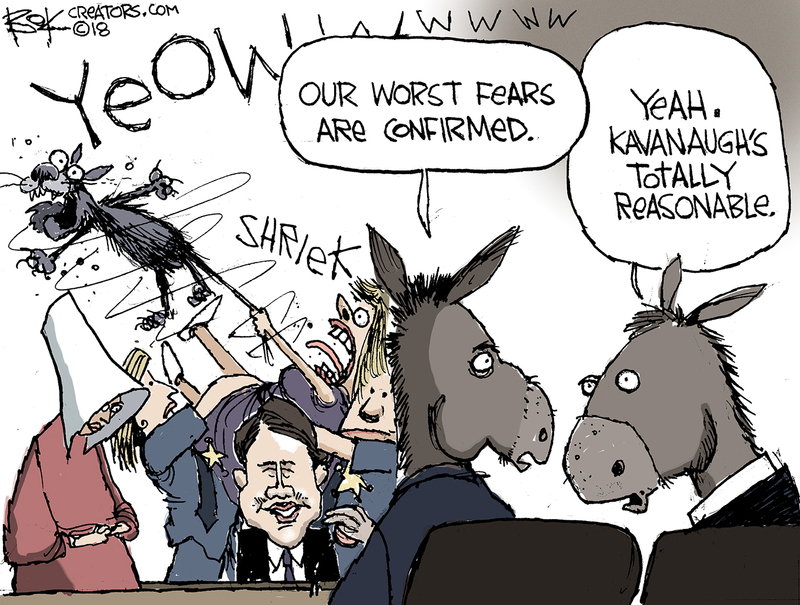 And Judge Kavanaugh’s answers seemed reasonable enough. He insisted he judges cases only on the merits, the Constitution and precedent.